Join us at the picnic tables near the Columbia Park parking lot for our annual Earth Day cleanup. The clean up is on Saturday April 20, 2019 from 9:30am to Noon. The CP railroad tracks tends to be a barrier that keeps trash in our neighborhood. Come help us remove the mess for a more beautiful Columbia Park neighborhood. We will provide gloves and bags (and some snacks). 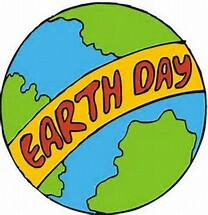 For more information about the city wide Earth Day clean up check out the Park Board Earth Day page. This entry was posted in Neighborhood Issues, Parks, Railroads, Special Events, Volunteer Opportunities and tagged Earth Day. Bookmark the permalink.